Beginning bakers often find yeast breads intimidating, and it's not entirely unwarranted. Many of the stages of making a loaf of bread, like fermentation and proofing, take place with no input from the baker whatsoever, which can make the process seem especially mysterious, if not downright magical. And yet our grandparents knew how to bake bread, and so did their grandparents. It's unlikely that they were wizards and magicians—at least not all of them. The only thing standing between you and bread-baking expertise is practice. Now, since each bread recipe will feature a specific set of ingredients and use a particular technique, a bunch of one-size-fits-all bread baking tips might not actually be helpful. But we can certainly demystify the concept of bread, including what each ingredient does as well as the purpose of each step in the recipe. We can offer one general tip, however, which is to follow the recipe you're using, especially if you're just learning how to bake yeast breads. Bread is what you get when you bake a dough made from flour, water and yeast. At a minimum, there's also going to be salt, but from this basic formula, the variations are virtually endless. These variations are not limited only to additional ingredients like nuts, grains like rye, oats or cornmeal, dried fruits, to say nothing of eggs, fats and sugar. The types of flour themselves can vary, depending on what type of bread you're making. Flour is the primary ingredient in yeast bread, and in most cases flour comes from wheat. It contains protein in the form of gluten, as well as starch. 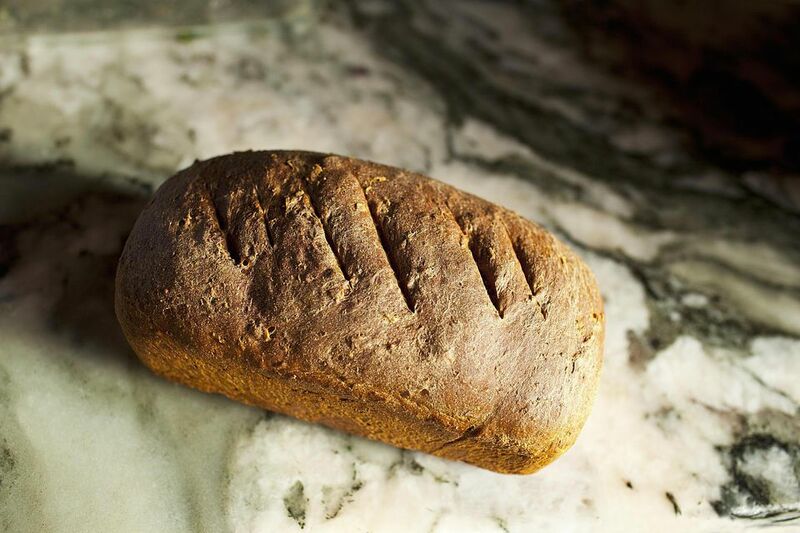 The protein and starch are what eventually give the bread its structure and texture. Flours with higher levels of gluten are called hard, and bread flour is an example of this. Lower gluten flours are called soft, and are used for baking cakes and other delicate pastries. All-purpose flour is a blend of hard and soft flours. Water is critical to baking bread. Yeast needs water to activate the process of fermentation. The gluten molecules in flour uncoil when they meet water, which allows them to lengthen later when the dough is mixed. The starches in the flour attract water and then gelatinize when heated. And dissolving in water also allows the salt and sugar to interact with the other ingredients. Even the temperature of the water can be an important factor in developing the dough. Yeast is a biological leavening agent, that produces CO2 gas when activated, and is available in various forms including dried, fresh and instant. Different bread recipes will call for a certain type of yeast and while it's possible to convert between the three types, it's best to stick with whatever the recipe calls for. In addition to gas, yeast also produces alcohol as a byproduct of fermentation, which is how beer is made. Sugar, salt and fat contribute flavor but more crucially, they also interact with the glutens in various ways. Salt causes glutens to become more firm while also promoting elasticity. It also slows the growth of yeast, which means it's important not to use too much or too little, as doing so can cause over- or underfermentation. Sugar by contrast weakens the glutens, producing a finer, more tender texture, and it's also the yeast's food. Fat adds moistness but also shortens the strands of gluten (i.e. "shortening"), thus producing a more tender bread. Mixing is the process of combining your ingredients to form a dough. This can be done with a machine or by hand (aka kneading) or a combination of both. What happens during mixing is that the yeast is distributed throughout the dough while also developing the glutens that give the finished bread its structure and texture. During fermentation, the yeast consumes the sugar in the dough and produces CO2 gas. Meanwhile, the glutens, which were developed during the mixing stage, relax, making the dough easier to work with and less prone to shrinkage during baking. Fermentation typically lasts an hour or two. When the dough has doubled in volume and a finger poked into the dough leaves a dent, fermentation is complete. Makeup refers to shaping the dough into loaves, or rolls, or whatever the final shape will be, and placing it in whatever pan or baking sheet the bread will be baked on. If the dough is not shaped evenly it can split during baking. The makeup phase is also where any large air bubbles are forced out, which would otherwise create large holes in the bread. During the proofing phase, the dough continues to ferment and increase in volume. Proofing time varies depending on how rich the dough, the strength of the flour and the desired texture. But generally speaking the longer the dough proofs, the fluffier the bread will be. High-fat doughs are less elastic, and thus need less proofing to ensure that the gluten strands don't break. The first thing that happens when the dough hits the oven is that the heat causes a sudden rush of gas to be produced by the yeast. This is known as oven spring, and since the yeast are killed once the dough reaches 140 F, this is the last rise the dough will have. While baking, the glutens become firm and the starches gelatinize, while the top of the bread turns brown. Browning of the crust can be enhanced by introducing steam, and the tops of loaves can also be brushed with milk or egg wash to increase browning. Often loaves will be slashed on top with a sharp knife before baking to help the dough expand more fully without rupturing.